Telematics technology is largely credited with changing fleet management. In fact, a quick search of telematics online suggests that it is a vital part of fleet management, that monitoring drivers is increasingly accepted, and that telematics provides fleet managers with the information they need, when they want it and how they want to digest it. Yet, as technology adoption becomes more and more commonplace for fleets and having personally witnessed some of the world’s largest fleets successfully reduce the number of collisions, injuries and license violations, as well as their total cost of ownership (TCO), I have an insight to share with fleet managers: telematics alone is not enough! The term telematics is frequently used to describe the monitoring of vehicles, the recording of movements and the tracking of assets using data gathered either through a vehicle’s internal sensors, or the sensors of a device that plugs into the vehicle, (OBDII), or more recently, through the sensors built into a smartphone. But, monitoring vehicles, recording movements and tracking assets does not make drivers safer. Yes, telematics data can provide useful insights into driver behavior, such as speed, trip distance and time, harsh acceleration, braking, cornering and distraction. It is also fantastic to help understand which drivers need further coaching after a behind the wheel training experience. But the real game changer is how that data is utilized; what actions managers from all parts of the business (EHS&S, Risk, Insurance, HR, Operations/Commercial etc.) take to address the issues/opportunities raised by the data and how the data fits into a wider safety culture that really makes a lasting difference to driver risk management and safety. At eDriving, we have worked with some of the world’s most recognizable household names for over 20 years. And, over the years, our work with thousands of drivers and their managers has confirmed what we initially said back in the 1990s; that long-term sustainable driver risk reduction requires leadership commitment, a structured approach and above all else, direct driver manager engagement – “what interests the boss, fascinates/terrifies and engages the workers”. It also requires a data-led, proactive strategy, rather than reacting to an event after it takes place. We frequently talk about – and indeed patented – a closed loop approach to risk management. What this means is using a system and methods that allow for the collection, processing and distribution of information to promote driver safety and reduce risk of injury. Does it involve telematics data? Absolutely. But it also involves gathering and integrating many other objective data universes all working together to drive down risk, promote best practice and help to ensure all drivers return home to their loved ones and communities at the end of each work day. The recipe for success, when the focus is reducing collisions, injuries, license violations and TCO is to mix collision and license violation history with key telematics data on acceleration, braking, cornering, speeding and cell phone distraction/use to help managers identify their at-risk drivers early so that the most relevant and appropriate risk reduction activity can be triggered before an event and stop future collisions from ever happening! When this type of activity takes place within a wider safety culture, that’s when organizations achieve year on year sustainable results. Establishing and maintaining a safety culture involves defining, communicating and reinforcing non-negotiable policies and standards designed to keep drivers (and the wider community) safe while employees are driving for work purposes as well as providing training to those that need it. It also involves consideration of a driver’s right to privacy as well as an ongoing communication plan, training for managers and – crucially – the demonstrable commitment of leadership. A comprehensive safety culture goes beyond the legal duty of care requirements by, for example, extending a driver safety program to include other authorized drivers of company vehicles, such as family members. It might sound like a lot of work, and in the early days it is! But, once an organization has an established system and has released its “safety virus” into its atmosphere, we’ve seen businesses reduce collisions and injuries consistently year on year over three, five, 10 and 15 years. 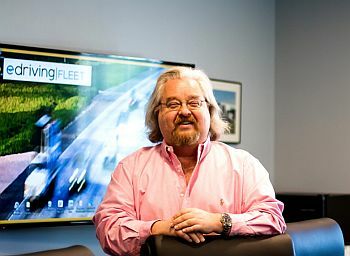 As CEO & Founder of eDriving and a veteran of the fleet risk management industry for over 20 years, Ed has helped transform the way companies proactively manage risk and prioritize the safety of their employees on a daily basis. 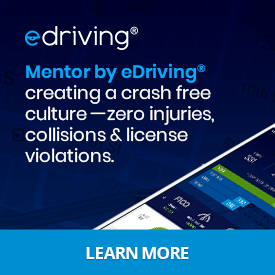 eDriving offers an all-in-one driver safety training and risk management solution via its MentorSM smartphone solution that identifies risky driving behavior (e.g., phone use, speeding), provides in-app “micro” training modules, and uses gamification and coaching to produce lasting behavioral changes. Mentor’s support for managers includes dashboard reporting, a coaching toolkit, and unified view of driver risk including collision, incident, license violation, and driving performance data. Mentor is designed around eDriving’s patented “closed-loop” process backed by 20 years of proven results with over one million drivers and includes warranty for 20% reduction in collisions in year one, or service fees will be refunded.